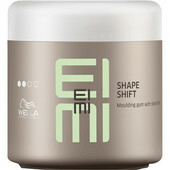 This shampoo strengthens hair and stimulates the scalp. Ideal preparation for the use of the lotion Wella SP Men Maxximum Tonic. Dermatologically tested. pH 4.6 to 5.2. * Panthenol strengthens the hair. * Menthol and caffeine stimulate the function of the scalp. Evenly massage into damp hair. Carefully rinse.